Rhode Island personal injury attorney, David Slepkow presents these RI injury law FAQS. 1) If I am injured in a Rhode Island automobile accident, what do I do? Make sure you stop at the scene of the Rhode Island Auto Accident accident and notify the police department immediately about the accident. If possible, please get all of the information about the other parties involved in the accident, including their name, address, telephone number and insurance information. Make sure you receive treatment for your injuries with a medical provider as soon as possible. At the time of the RI Car accident, please get the names, addresses and phone numbers of any witnesses to the accident. If you have a camera or a cell phone with a camera, please take pictures of your automobile, the other automobile and the scene of the accident. If you have any bruises or physical conditions that are noticeable, please take pictures of the physical condition as soon as possible. Please do not give any statement to the insurance adjuster until you have had the opportunity to speak with a Rhode Island Car Accident Lawyer. 2) How do I determine how much money I am entitled to as a result of the accident? In order to determine the value of the case, the attorneys must look at a combination of factors, including lost wages, pain and suffering, permanency of the injury, any scarring or disfigurement, loss of consortium, periods of disability, etc. Determining the value of a case is an art rather than a science. The amount of the medical bills incurred will be one important factor in determining the value of the case. 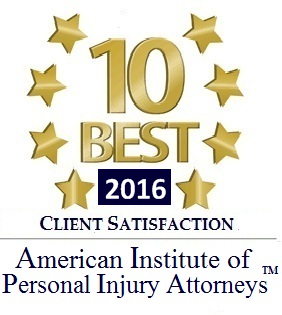 3) Does Rhode Island have a statute of limitations for personal injury cases? There is a three year statute of limitations to file a lawsuit for negligence in Rhode Island. If you do not file a lawsuit within three years from the date of the accident, you will be forever barred from filing a claim as a result of the accident. In the event that the claim is for personal injuries against a city or a town, there are very strict notice requirements. 5) How do I recover if I am hit by a hit and run motorist? If you have uninsured motorist protection with your own insurance carrier, you may be entitled to make a claim against your own insurance carrier. 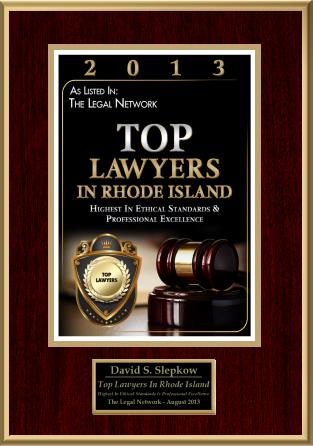 David Slepkow is a Rhode Island RI Personal Injury Lawyer / Attorney, practicing personal injury, premises liability, motorcycle accidents, slip and fall, insurance claims, automobile / auto/ car accidents, and serious accidents. 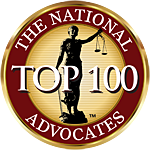 David has been practicing for ten years and is licensed in Rhode Island, Massachusetts and Federal Court.